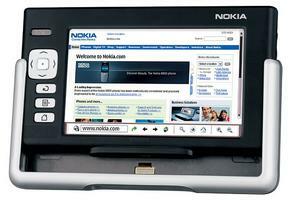 Nokia this morning announced the 770 Internet Tablet, a new tablet device that runs Linux. 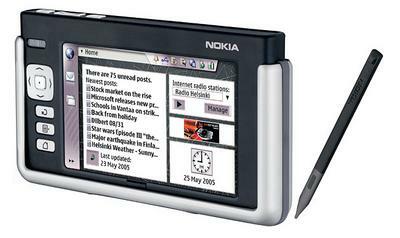 Oddly, the Nokia 770 is not a mobile phone, but in the future will be able to make calls via VoIP technology. Features of the Nokia 770 include: * Wi-Fi and Bluetooth * OS based on Debian Linux, Nokia has made all their changes open source as the "maemo" project * 4" 800x480 touch-screen * 64MB memory plus RS-MMC card slot * Size: 141mm x 79mm x 19mm * Weight: 230g The Nokia 770 is expected to ship in the third quarter. On the software side, the 770 will have a PDF viewer, Opera web browser, Flash, RSS news reader and more. A software upgrade that is expected to be available in the first quarter of 2006 will enable VoIP and IM.